Just a great big list of stuff about David Bowie. International posters for The Man Who Fell To Earth. 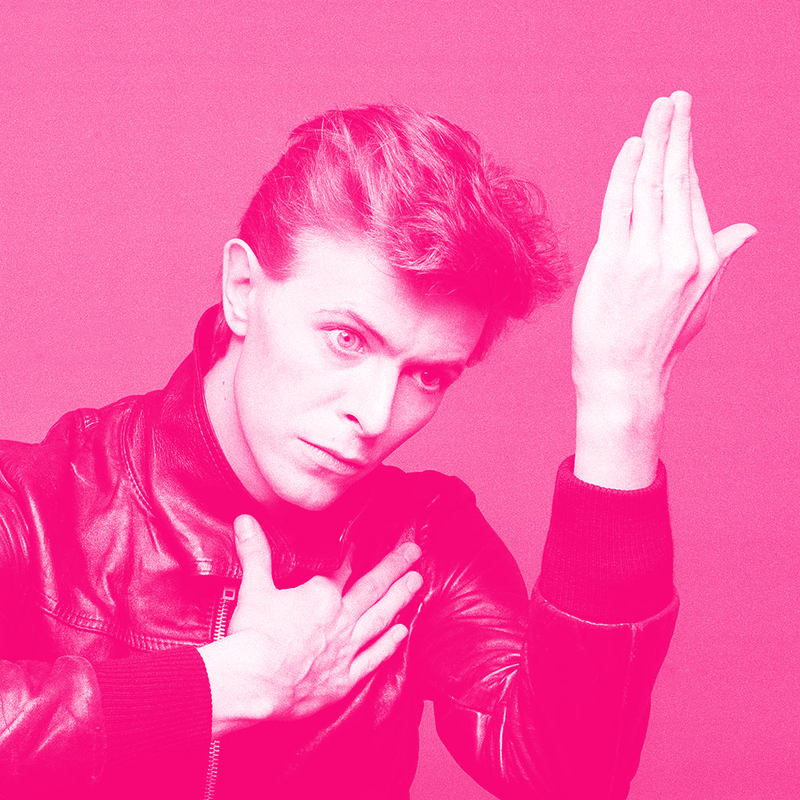 Free Bowie-inspired resources for geography teachers. Just say no.Ten things David Bowie turned down (and the fantastically curt responses he gave). Bowie impersonatesBruce Springsteen, Neil Young, Iggy Pop, Lou Reed and Tom Waits during the Absolute Beginners recording sessions. Together, it all kind of sounds like an Ezra Furman album. David Bowie's forgotten non-fiction books, compiled by Tom Gauld. From his collection of 2,500 vinyl LPs, Bowie selects his greatest discoveries, and unearths some record-buying memories as well. The making of The Man Who Fell to Earth. POP.Bowie chats with Roy Lichtenstein for Interview magazine in 1998. Now the workers have struck for fame– David Bowie as political figure. The history of the Low/Heroes/Lodger Berlin trilogy. If you're going to mine any era for a potential bowie-biopic, this would be it. Now could somebody call Domhnall Gleeson's agent please? The beat godfather and the glitter mainman– when Bowie met Burroughs. Cracked Actor– the infamous 1974 documentary, in which Alan Yentob joins a rather delicate Bowie on the Diamond Dogs tour. We, with our time borne ceaselessly away, can heroes be, if just for one brief day– Heroes, the pop sonnet version. "When I asked you if you wanted me to say anything here tonight, you said: only three words, one of them testicular." – Tilda Swinton's speech from the opening of the David Bowie Is exhibition. David Bowie Is (amazon.co.uk/amazon.com) – a most splendid retrospective published in 2013. Filled with all sorts of bits and pieces from the Bowie archive, plus essays by Christopher Frayling, Camille Paglia and Jon Savage. What did David Bowie do at your age?Don't do it, you'll only remind yourself of all the amazing things you haven't done with your life. Seriously, don't do it. No, okay, you go ahead then. Just don't say I didn't warn you. Mumbling into the void, everyone says hi– Ian Salmon reflects on a lifetime of Bowie LPs. Adam Buxton's 2013 documentary on Bowie, featuring rare interviews and classic Bowie-at-the-Beeb moments. The best David Bowie samples in hip-hop. The making of Under Pressure: demos, studio sessions, isolated vocal tracks, wine, cocaine, everything. Berliners call for street to be renamed after Bowie. Jemaine Clement on creating ‘Bowie’s in Space’, the Flight of the Conchords’ paean-parody to their musical hero. Bowie predicting the impact of the internet in 1999– how it would change society and lead to new ways of expression, art and communication – while Jeremy Paxman looks sceptical about the real application of the new “tool”. Lynda Relph-Knight examines Bowie's influence on graphic design– his relationship with designers and the impact his music, artwork and even stage personas made on visual design. Bowie in Berlin, purging demons and always crashing in the same car – Rory MacLean. Dancing in the street … without music. A tribute from Chris Hadfield– the only person to actually perform Bowie's music in space. So far. Playful, profound and pretentious – Bowie answers the Proust Questionnairefor Vanity Fair in 1998. Design Week looks at a life in album covers, highlighting a few mysteries. Credits for several iconic pieces don't seem to exist anywhere – who designed the sleeves for Station to Station, Heroes, Low? Rehearsing the Labyrinth ballroom scene(choreographed by Star Trek's Gates McFadden it turns out). Five minutes of heaven. Long-time Bowie collaborator Jonathan Barnbrook talks to Creative Reviewabout designing the artwork and visual language for The Next Day and Blackstar. In 2001, Bowie and Tracey Emintalked drugs, art and fame. David Bowie in the movies— Anthony Lane. Flick through John Peel's collection of Bowie singles. In 1979, David Bowie took over BBC Radio One for a 2-hour DJ set. Have a listen. Interview with May Routh, costume designer of The Man Who Fell To Earth. David Bowie, internet service provider – interview with Ron Roy, the guy who ran BowieNet ISP. That time Bowie criticised MTVfor not playing music by black artists. Things are more equal now: they don't play music by anyone. David Bowie vs Alexander McQueen— Dazed and Confused, 1996. Memories of growing up to Bowie— Ruth and Martin's Album Club. If the Beatles captured a 60s of optimism and love, Bowie was the signature artist of the 70s– distilling paranoia and confusion into pop both euphoric and terrifying — Dorian Lynskey. David Bowie's 100 favourite books. Eno, Visconti, Pop et al pay tribute.